As Fashion Week has drawn to a close, let’s take a look back on the interesting space held during London Fashion Week SS17. During London Fashion Week, Topshop had a new show venue: the Old Spitalfields Market. 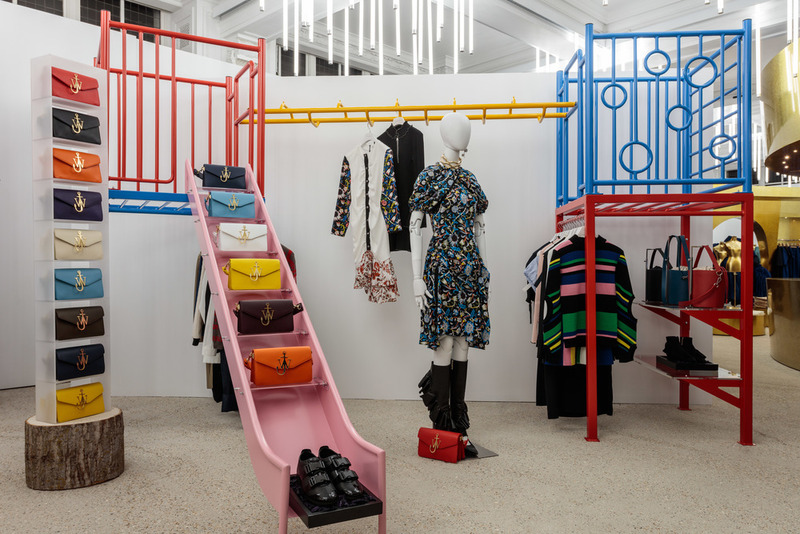 Topshop decided to embrace the market style and curated a pop-up market space in collaboration with leading short-term space facilitators ‘Appear Here’. Although the new show venue was Old Spitalfields Market, there was something quite different to the usual market atmosphere. It was much more vibrant, more sophisticated and perhaps more refined than the usual rustic style that Old Spitalfields Market offers the public. The stalls were not just open to those attending London Fashion Week, but on both Saturday 17th and Sunday 18th September, they were open to the public. From organic cupcakes, cute and sophisticated stationary, to trend-led flowers and luxury leather bags, they had it all. I was curious as to how and why and what so many independent stores were doing here. I’ve been to the Old Spitalfields Market many a time, but this was nothing like what I had seen before. The hustle bustle of the market alongside the catwalk, what a peculiar feeling. The atmosphere was full of Fashion Week, but at the same time had a market type feel. The place was packed and not just with Fashion editors, models and other influences, but also flooded with tourists and locals of the area. I then stumbled across, Chalk - an unusual and captivating beautiful jewellery line started by architect Malaika Carr, which is far from the usual jewellery you own. The pieces are not only daring and make a statement, but they are also quite delicate. How bizarre I thought? I love finding out about the inspiration behind the work that has been curated, and after talking with Malaika, I realised not only did the pieces themselves have a story, but even the materials which she used have a story behind them. Q1. How did you manage to collaborate with Topshop? Did they scout you, or did you apply to be a part of it? A1. Yes, they did scout me. I was contacted by the marketing team. Q2. How were the responses from the general public, and those who attended LFW? A2. We had a great response over the two days and made many sales. The clientele thought Chalk jewels were original and unusual. Q3. You mentioned that you were ‘testing’ out some pieces (if I remember correctly), how did that go? A3. Yes, I was testing out more luxurious pieces. It was interesting to see what the Chalk customers thought of them. The overall response was that the new pieces looked like they belong to a totally different brand. They attracted a different customer too. So from this I have decided to create a new brand which will solely focus luxury items. Q4. What is your inspiration behind your favourite pieces? A4. All my inspiration comes from places that I have visited, architectural forms and cultural patterns. My favourite pieces Aziza (inspired from Moroccan Tiles) and Lagos (inspired from scarf called Lagos created by Sarah and Sorrentino). Q5. What did you hope to gain from the Topshop collaboration? A5. I gained an insight into who my target market is (I cannot see this through website sales) a new customer base, new Instagram followers (which is integral to online sales now) and a new brand! I have named it Arco Studios and currently in the process of putting the website together. I hope it will be launched in November. Fingers crossed! Malaika’s answers were so insightful to the process of the event and what she was hoping to gain out of it. Being an independent store that mainly sells online, it can often be hard to find out what consumers offline find interesting about your brand or are willing to purchase. There are so many different stores that offer such interesting things, but they often get overshadowed by more well-known brands and are thus left unknown. So it’s great that Topshop took some of these amazing independent stores and took them to light! It’s wonderful how this space allowed so many different types of independent stores, to showcase themselves and to be known to not only the public, but fashion people alike. For a full list of market stalls please refer to here. *Top Shop show venue at the Old Spitalfields Market hosted shows and presentations of Fashion East, Faustine Steinmetz, House of Holland, Molly Goddard, Topshop Unique. The official show venue of the British Fashion Council is the Brewer Street Carpark. As Seoul Fashion Week kicks off, here’s a throwback from Beakers recent project with Korean designers that took place in-store and continued on throughout the summer. DJ Soulscape livening up the launch! Friend Chicken's tasty fried chicken! All ready for the Maekju (Korean beer). Getting the maekju (Korean Beer) ready for Chi-Maek! Beaker is a life style driven concept store in Seoul offering an eclectic mix of brands sourced from all over the world. And the world to this unique concept store includes ‘Korea’, a point of difference that stands out immediately in a market where multi-label boutiques compete and clash all the time with an ‘International Designer Brands only’ strategy. The flagship store that opened up in the heart of Hannam-dong back in 2012 has been endorsing Korean talents through a project called ‘Our Seoul’ since 2015. The aim is to highlight the city ‘Seoul’ and communicate the various different stories of those living in the metropolitan city. 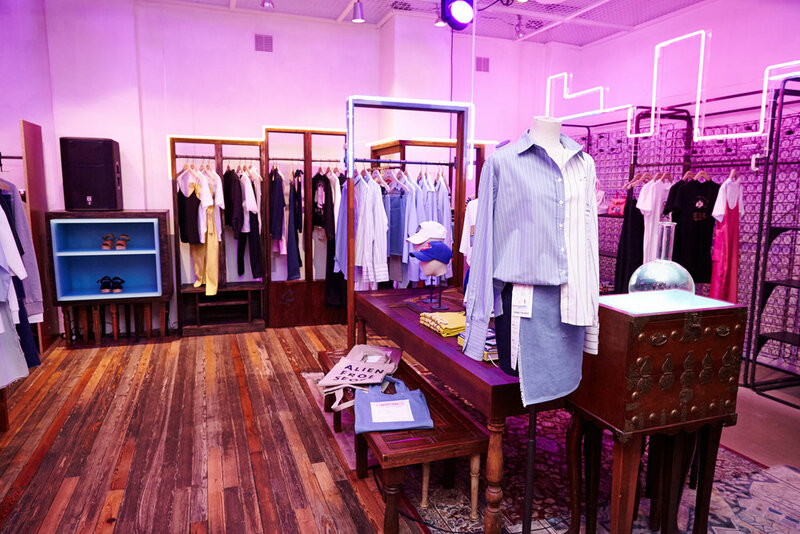 The store officially launched the project in April this year by presenting a series of collaborations with the home grown Korean designer brands worthy of attention. As the brief reads with a poetic description of ‘the early mornings spent at the traditional palaces, the vast River Han surprisingly serene at times, the fast paced busy lifestyle, and the high street that never shuts down,’ Seoul is no doubt a city full of charms. The collection has been specifically created with the city of ‘Seoul’ being the the main inspiration. The city’s metro map is turned into a tag for an unbalanced shirt with a slash shoulder detail by Beaker’s own collection for the project and another map simplified into a graphic design square for a basic unisex white tee shirt. 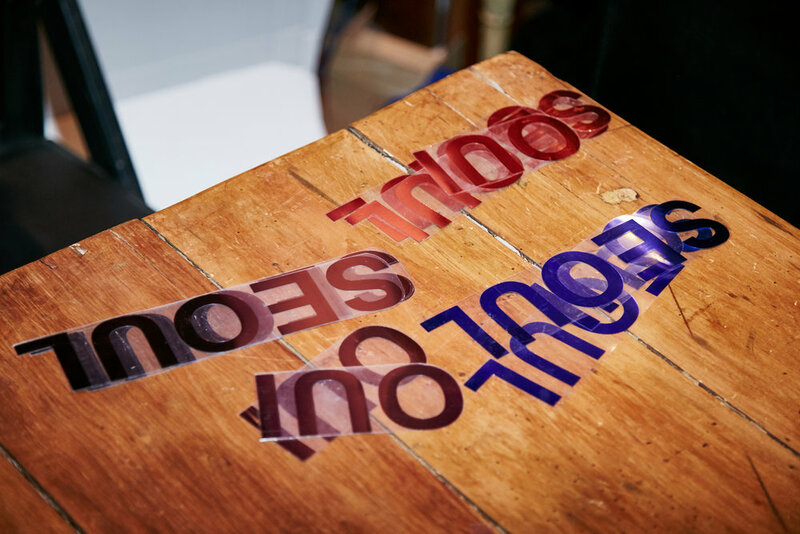 The slogan ‘Oui Seoul’ embraces the tee shirt of the Korean-French duo designer brand Oui Paname who demonstrated the heat press action during the night of the launch. The tee shirt was then packaged into a pizza box made especially by the brand! Creative Director Hymee Lee’s brand Eenk created classic handbags for ladies with a unique square shaped brass handle in different shades from white to black. 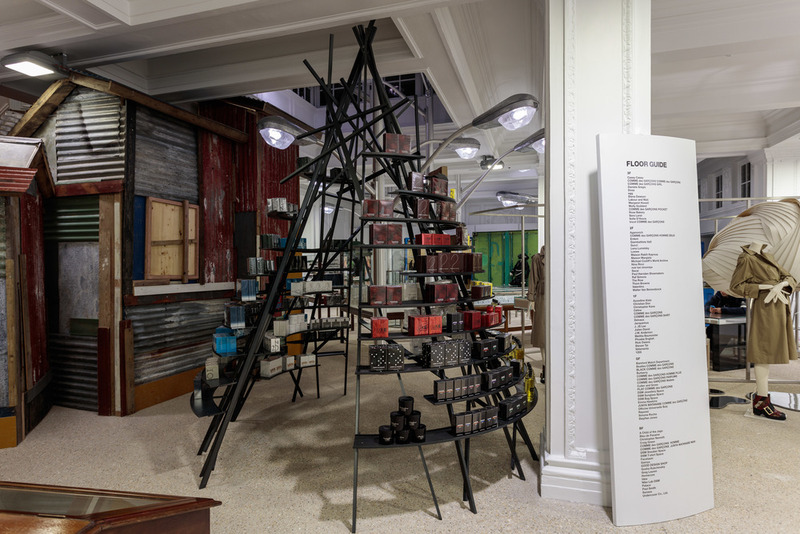 ‘Our Seoul’ project that has now taken up the entire floor spaces at the Hannam-dong flagship store introduces 12 exciting Korean designer brands including Beaker’s own line inspired by the city. The launch was celebrated with a series of witty films starring Korean born influencer Irene who was present at the launching party in April supporting the exciting collaboration. Irene was spotted introducing the collection with Eva Chen who was present in Seoul at the time to attend the Condé Nast Luxury Conference fronted by Suzy Menkes. The store also invited Seoul’s hip music talent DJ Soulscape to be in charge with the music as well as the local’s favourite fried chicken store ‘Friend Chicken’ to offer a taste of ‘Chi-Maek’, the fried chicken and beer combo made famous all over Asia thanks to the popular K-Drama, ‘My Love from the Star’. ‘Our Seoul’ is a pop up that has been running in the store since the end of April at Beaker Hannam-dong flagship store only. 패션 석사 과정을 갓 졸업한 신예들의 컬렉션을 매장에서 만나는 일? 런던의 신인 디자이너 파워라면 가능하다. 패션을 예술의 한 형태로 인지하는 이 도시는 신인 디자이너 배출에 뛰어난 기량을 발휘하는 시스템 속에서 철저하게 서로의 장점을 존중하고 지지하는 놀라운 결속력을 지녔기 때문이다. 거장이 신인의 손을 잡아주고, 전문가는 아마추어를 멘토링하는 이 아름답고 고귀한 현재 진행형 연합에 대하여. 런던 패션 위크 남성복이 3일간의 뜨거운 스케줄을 마치고 모두가 컬렉션을 들고 파리로 향하는 1월말. 4대 패션 위크의 완결판이자 전세계 바이어들의 치열한 바잉이 쇼룸에서 치뤄지는 도시 파리에는 영국 패션 협회의 주관으로 런던 쇼룸이 열린다. 주로 신인 디자이너들이 주축이 되지만, 바로 전에 치뤄진 패션 위크 스케줄의 당당한 주역들이다. 글로벌 패션계가 움직이는 때인 만큼 쇼룸에는 다양한 인파가 몰려드는 와중에 레이 가와쿠보 여사가 도버 스트릿 마켓 회장이자 남편인 에이드리언과 부사장 디컨과 함께 쇼룸에 들어섰다. 누구의 방해도 받지 않고 조용히 쇼룸을 둘러보길 좋아하는 그녀는 런던 쇼룸에서 신예들을 픽업해 도버 스트릿 마켓에 소개하곤 한다. 1시간도 채 안되어 볼일을 마치고 떠나는 그녀의 방문 소식을 듣고 잠시 자리를 비웠던 찰스 제프리 (@_charlesjeffrey)가 뒤늦게 뛰어와 한바탕 드라마틱한 운명적 만남이 성사되었다. 황홀해 하는 찰스를 향해 그의 영웅 레이는 잘 했다고 컬렉션이 아름답다고 칭찬했고, 챨스의 컬렉션은 다음 시즌 도버 스트릿 마켓 입성을 예고하고 있다. 쇼룸을 통해 모두에게 노출되지만, 찰스 같은 보물을 누구나 소화할 수 있는건 아니다. ‘술취한’ 테일러링에 바탕을 둔 그의 컬렉션은 분명 과장되고 거칠다. 하지만 흥미롭게도 예전 같으면 ‘소화 하기 힘든’ 컬렉션으로 분류되기 십상인 찰스의 룩들에, 공식 직함보다는 ‘런던 디자이너 홍보 대사’라는 애칭으로 통하는 한 한국 바이어는 흥분을 감추지 못하고 열광했다. 찰스를 ‘뉴 마르지엘라’에 비유한 그는 “실루엣, 엔드로지너스한 감성 그리고 영국의 펑크와 애시드 컬러가 특히 너무 좋았다.”고 호평했다. 그에게는 당연히 레이의 시선이나 관심은 그다지 중요하지 않았다. 두 매장의 관심은 오직 패션 센트럴 세인 마틴 (CSM) MA 졸업 작품 쇼를 마친지 1년도 안된 찰스라는 디자이너의 컬렉션 뿐. 챨스의 컬렉션은 다음 시즌 분더샵을 통해 국내에서도 만나볼 수 있을 것이다. 도버 스트릿 마켓은 최근 헤이마켓 (Haymarket) 지역으로 확장 이전해 새로운 매장을 오픈했다. 원조였던 ‘도버 스트릿’에서 도보로 10분 남짓되는 이 매장은 영국을 대표하는 브랜드 버버리의 설립자 토마스 버버리에 의해 세워진 역사적인 건물. 2004년 런던에서 첫 매장을 오픈한 이후 긴자와 뉴욕 그리고 IT와의 협업으로 베이징까지 뻗어나간 도버 스트릿 마켓은 “다양한 분야의 다양한 크리에이터들이 아름다운 혼돈 속에서 함께 모이고 서로를 접할 수 있는 환경을 만들고 싶다.”는 레이 여사의 코멘트처럼 크리에이티브 에너지가 융화하는 복합 공간으로 성장했다. 수장이자 영감 원천이 레이 여사라면, 에이드리언은 함께하는 동역자이고 디컨은 조용히 뒤에서 선구자를 지지하는 동력이다. 한국계 디자이너 이정선을 향해 “재키는 발렌티노, 지암바티스타 발리, 에르뎀, 미우미우와 함께 소개할만한 강하고 우아한 절제미를 선보이는 디자이너다.”는 코멘트를 던진 디컨은 새로운 매장 안에서J.JS.Lee (@jjsleelondon) 컬렉션을 셀린과 나란히 하는 공간에 편집해 넣었다. 신인만이 아니다. 성숙한 다음 단계를 밟아 나가는 디자이너 뒤에도 바이어의 절대적인 지지가 필수다. 잘 알려진대로 패션 학도들에게는 디자이너로 데뷔할 기회가 충만한 요즘이다. 각종 패션 어워즈가 전세계적으로 풍성하기도 하고, 새로운 크리에이티비티에 목말라하는 업계는 사회 환원의 일환으로 각종 펀드를 조성하고 비즈니스 서포트 프로그램을 기획하기도 한다. 이런 혜택을 통해 기회를 얻은 디자이너라고 누구나 성공하는 것은 아니다. 게다가 최근 안나 윈투어의 발언대로 졸업하는 족족 모두가 디자이너로 데뷔하고 캣워크 쇼를 기획하는 일은 무모할 수 있다는 점도 간과해선 안된다. 그럼에도 불구하고 로버츠우드 (@roberts.wood) 같은 디자이너의 사례는 좋은 브랜드의 시작을 알리며 업계의 기분 좋은 지지를 받고 있다. 디아크 콘셉트 파리를 운영하는 디렉터 바바라 그리스피니는 “로버츠우드 컬렉션의 첫인상은 시적이라는 점인데, 바느질 없이 이음새를 엮는 작업을 통해 완성한 놀라운 손기술과 치밀한 계산과 계획이 바탕된 혁신적인 작업”이라고 소개했다. 바바라와 함께 성공적인 2016 가을/겨울 컬렉션의 세일즈 시즌을 마무리한 로버츠우드는 2014년 영국 왕립 예술 대학 (RCA) 석사 과정 졸업 이후 같은 해에 디젤이 후원하는 ITS상과 보그 탤런트 어워즈를 수상했고 그녀의 첫 컬렉션은 현재 도버 스트릿 마켓에 판매 중이다. 그리고 다음 시즌, ‘보우 드레스’, ‘보우 에이프런’ 등 서로 탈부착이 가능한 그녀의 두번째 컬렉션은 전세계 주요 패션 부티크들에서 만나볼 수 있게 되었다. 런던 패션 위크의 간판 프로그램이 된 뉴젠 (NEWGEN) 어워즈의 강력한 파워는 화려한 심사위원단 명단이다. 화려하기로는 전년도 수상자 리스트도 빠지지 않지만, 선후배가 서로를 끌어주기보다는 전문가가 비전문가를 멘토링하는 구성이 흥미진진한 플랫폼. ‘3년 미만’의 비즈니스 경력을 가진 디자이너들에게 오픈한다는 자격 조건에서 알 수 있듯 뉴젠의 목적은 신인 디자이너 육성이다. 2월에 열린 런던 패션 위크에 맞춰 발표된 뉴젠 수상자는 총 8명이었지만 (총 인원은 매시즌 변동) 영국 패션 협회는 ‘주목할만한 신인 (One-To-Watch)’이라는 제목 하에 한명 더, 로베르타 (@robertaeiner)를 꼽았다. 협회가 그녀를 언급한 배경은 아직 뉴젠 수상자가 되기에 미흡하다는 것이다. 하지만, 웨스트민스터 대학 (University of Westminster)에서 석사 과정 졸업 작품쇼를 마친 후 작년 9월에 첫번째 컬렉션을 발표한 신예라는 점을 생각한다면 로베르타에겐 중요한 도약이지 않을 수 없다. 화려한 자수와 아플리케, 패치워크 등 손기술이 요구되는 정교한 그녀의 컬렉션은 올해 2월 패션 위크 공식 장소인 ‘디자이너 쇼룸’ 뉴젠 공간에 설치 작업으로 소개되었다. 발망에서 올리비에 루스탕과 함께 일한 경력을 바탕으로 홀로서기에 성공한 로베르타의 컬렉션은 IT 그룹에 픽업되어 매장에 진열될 예정이다. 로베르타에 앞서 동일한 카타고리에 선정된 포스틴 스타인메츠 (@faustinesteinmetz)와 마르타 자쿠바우스키 (@martajakubowski)는 이후 뉴젠 수상자로 선정되어 프리젠테이션을 선보이며 글로벌 바이어들의 지지 속에서 건강하게 성장 중이다. 영국 패션 협회의 ‘디자이너 쇼룸’에는 올해 유난히 한국 디자이너들의 수가 급증했다. 반가운 이들의 행보 뒤에 아직은 한국 패션 전문가들의 지지와 관심의 시선이 닿지 않았지만 현지 온-오프라인 매체는 이미 한국계를 주목하고 있다. 그 중에서 돋보이는 디자이너 록 황 (@rokhofficial)은 셀린과 루이비통, 끌로에 등에서 차곡차곡 경력을 쌓다가 군 복무를 마치고 돌아와 자신의 브랜드를 런칭한 케이스다. 사라 무어의 전폭적인 지지를 받으며 활약하다 입대와 함께 공백기를 가진 그의 여성복 컬렉션의 첫 시작은 국내 편집 매장 무이를 통해 만나볼 수 있을 예정이다. 졸업 후 자신의 브랜드를 런칭하기 보다는 텍스타일 컨설턴트의 길을 선택한 에드워드 크러칠리 (@edwardcrutchley)는 그의 든든한 조력자인 루이 비통의 남성복 디자이너 수장 킴 존스의 호스트로 2016 가을/겨울 컬렉션을 프리젠테이션으로 선보였다. 패션 이스트를 통해 데뷔한 후 3번째 시즌을 맞은 그의 컬렉션에 대해 앞서 언급한 한국 바이어는 “과연 유명 브랜드의 페브릭 디자이너답게 매우 고급스런 소재와 영국적인 패피스러움이 너무 좋아” 주의 깊게 보고 있는 중이다. 심지어 그는 센트럴 세인 마틴 학사 시절, 여성복을 전공하다 졸업 이후 남성복으로 전환한 독특한 경우. 런던 쇼룸에서 성공적인 세일즈 시즌을 마친 에드워드의 컬렉션은 다음 시즌 더 많은 글로벌 부티크를 통해 소개될 예정이다. 에드워드는 직접 운영하는 텍스타일 디자인과 개발 컨설팅 회사를 통해 루이 비통을 포함한 다수 브랜드의 컨설팅을 이어가고 있다. 남성복 디자이너 그레이스 웨일즈 보너 (@walesbonner)는 2015년 갓 졸업한 뜨거운 신인 파워로 2015 영국 패션 어워즈의 신인 남성복 디자이너 어워즈를 거머쥔 실력자다. 그레이스의 컬렉션은 하나의 거대한 리서치 프로젝트다. 흑인의 남성성과 섹슈얼리티를 둘러싼 다양한 테마를 연구하고 파고들며 수집한 정보를 토대로 그녀는 하나의 아름다운 연출을 완성해나간다. 그녀의 프리젠테이션 속 옷은 하나의 애티튜드이자 자신을 표현하는 색깔로 미화된다. 그녀의 남성복 컬렉션은 10 코르소 코모를 통해 국내에서도 만날 수 있게 되었지만, 매치스패션닷컴 (matchesfashion.com)과 협업으로 런칭한 여성복 캡슐 컬렉션 소식이 무척 흥미롭다. 남성복 컬렉션의 놀랍도록 아름다운 감성을 지지하는 남성복 바잉 디렉터 데미안과 여성복 바잉 디렉터 나탈리가 뜻을 모아 여성복 런칭을 결심한 배경에는 영국 디자이너를 지지하고자 하는 매치스 팀의 확고한 의지가 담겨 있다. “아직 초기 단계에 있는 그녀의 컬렉션은 안드로지너스하고 남성적인 스타일을 이야기하는 것이 아닌 남자 친구와 여자 친구가 서로의 옷장을 넘나드는 크로스 드레싱”에 비유하며 소개하는 나탈리는 그녀의 무척 강하고 독특한 시각에 끌려 여성복 런칭을 결심했다고 한다. “조개 껍질 디테일은 무척 여성스럽고, 그녀의 남성복에는 럭셔리한 트위스트가 있어” 여성복 기준으로 사이즈를 변경하고 재단한 컬렉션을 만들게 된 배경을 설명했다. 그레이스의 여성복 컬렉션은 이미 매치스패션닷컴을 통해 판매가 시작되었다. ‘한국은 아시아로 향하는 문’이라는 강력한 에너지에 끌려 유럽의 섬나라 영국을 통해 두 대륙간에 서서, 눈에 보이지 않는 브릿지 역할을 자처하는 동안 접하게 된 런던의 비하인드 씬은 여전히 무척이나 흥미롭다. 그리고 이곳에서 이들을 향해 새로운 크리이에티비티가 끊임없이 나올 수 있는 배경에는 어떤 영감 원천이 있을까 수 많은 질문들을 던져보기도 한다. 풍부한 문화 유산 (heritage)은 잡지, 학교, 기관은 물론 디자이너도 100주년을 축하하는 선구자 영국이기에 가능한 것이지만 이들이 앞으로 전진해 나가는 힘은 바로 연합이다. 그리고 완전한 연합은 서로의 부족함을 채우는데서 비롯된다. 그래서 이들은 계속해서 새롭거나 다르거나 독특한 질문들을 서로에게 던지며 그 지적인 자극을 통해 함께 성장해 나간다. 신인 디자이너들의 행보에 가슴이 벅차는 이유는 패션이 가져야 하는 가장 기본적인 자질, 크리에이티비티가 옷을 통해 아름답게 흘러나오고 있기 때문이다. 이 막강 신인 파워 안에 더 많은 한국계 디자이너들의 합류가 예고되는 가운데 (졸업을 앞둔 이들의 실력이 예사롭지 않다) 우리도 한번쯤은 경쟁과 도전을 넘어서서 더 많은 질문들을 던지는 용기를 가져봤으면, 조심스럽게 희망해본다. 이 글은 <Dazed&Confused> 코리아 6월호에 실린 글입니다.